Video (01:01) : Twins righthander Zack Littell says he couldn't wait in his hotel any more, and that being in the majors, even for a day, "is unreal." Zack Littell will indeed make his major league debut today after the Twins called him from Class AAA Rochester to pitch the second game of the doubleheader against the White Sox. He'll be the 26th man on the roster. Pitcher Juan Minaya is the White Sox' 26th guy. 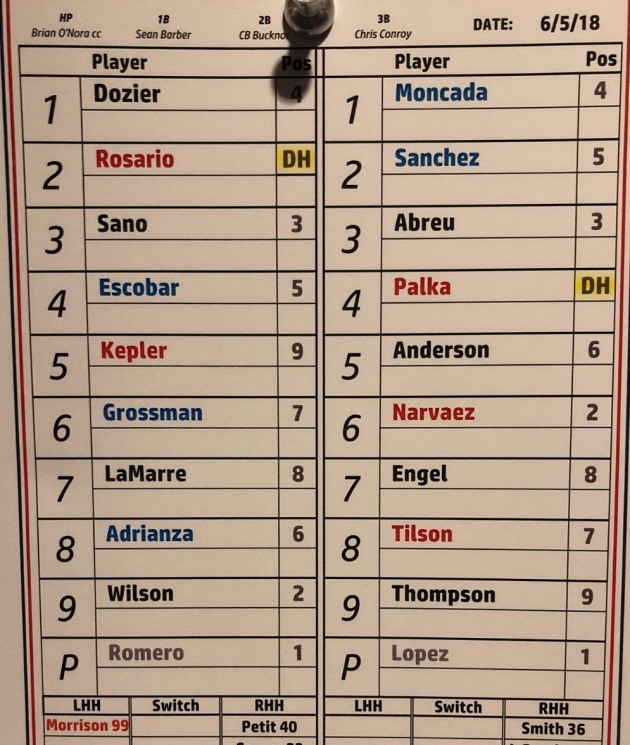 Fernando Romero starts Game 1 (3:30 p.m., FSN) at Target Field for the Twins. Twins manager Paul Molitor said Ervin Santana's was pleased with Santana's progress after some trouble recovering from his finger surgery. He’ll resume throwing, though not in a game, on Thursday. Joe Mauer is also at Target Field working out as he battles concussion-like symptoms. He is making progress as well, Molitor said. The single-admission doubleheader was scheduled after three consecutive games against the White Sox were postponed because of bad weather in April. Series preview is here. Littell, acquired from the Yankees for Jaime Garcia last July, was 0-3 with a 5.87 ERA at Class AA Chattanooga before being promoted to Class AAA Rochester. He’s 1-1 with a 2.57 ERA in five outings for the Red Wings, including four starts. In 28 innings, Littell, 22, has given up eight earned runs on 20 hits and 10 walks with 30 strikeouts. Will the Twins get creative with their top pick in tonight's draft?